to your health care provider as quickly as possible. Most tests require specific instructions. Please follow instructions given by your provider and lab carefully. In most cases, your exam results will be inaccurate if those instructions aren’t followed and another test will be necessary. Stay tuned for the next Red Cross Blood Drive! While lab tests should never replace an exam by a physician, they can be useful for detecting and monitoring medical conditions. 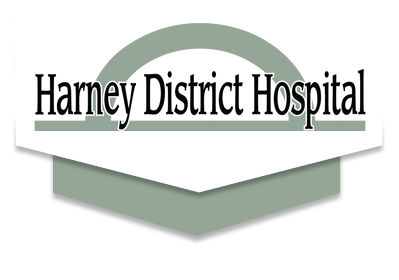 At Harney District Hospital, we offer PRLS for your convenience and as a money-saving strategy. Please keep in mind, all Patient Requested Lab Services must be paid at time of service and are not eligible for processing through health insurance. At your convenience, stop by at registration and fill out form requesting the lab tests you would like. Please remember all tests are paid at time of service and are not eligible for processing through health insurance. We accept credit cards and cash – sorry, no checks. For more information, contact the lab at 541-573-8336. Results of patient requested lab tests will be reported back only to the patient. Testing is usually completed the day of collection. Results will be mailed to the address given on the lab order form. We know patients will be eager to get their results and our staff will work to get results mailed within 3-5 days. Am I going to be charged extra for collection, processing or an enrollment fee? Can Harney District Hospital send a physician a copy of the results? Results of patient requested lab tests will be reported back only to the patient. The patient will then need to take these results to their physician. Extremely abnormal test results will be referred to an HDH physician designee. How can Harney District Hospital offer this discount? Because payment for the tests are collected at the time of service, the hospital does not have to process or mail insurance claims, invoices and other paperwork. The cost savings can be passed on to the patient in the form of low-fee tests. Can the laboratory explain these results to me? As this program is not a substitute for medical care from a qualified health professional, Harney District Hospital recommends you see your physician about your results. You can also find information regarding tests at www.labtestsonline.org. I don’t have a doctor. What do I do? Call HDH Family Care at 541-573-2074 and set up an appointment with a primary care provider. Full payment is collected at the time of service in order to receive the lower test fees. Payment can be made by cash or credit card – sorry, no checks. Why can’t I submit this to my insurance company? Patient requested lab services will not be processed through health insurance. The cost savings of not using the hospital’s claim and billing process allows us to offer the patient much lower test fees. Why would a patient want to pay directly rather than submit to their insurance company? Some patients know they will not meet their deductible. The patients can save money by ordering their own lab services through this program. By paying for their tests up front, the patient will receive the lower test fees. Can I have a doctor’s order and use this program? Yes, absolutely. You will need to complete a Patient Requested Lab Services form and mark the tests your physician has ordered. Some physician offices will complete the form for you if they know you want to use this program. After you receive your test results, you will then need to take them to your physician. What if some of the test numbers are too high or too low? 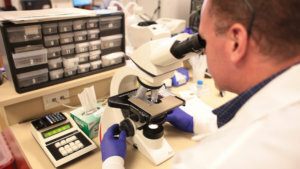 Harney District Hospital recommends you follow up with a health care professional about your lab results. This is especially important if some of the test numbers are above or below normal range. If any of a patient’s test numbers are extremely abnormal, one of our HDH Family Care physicians will notify the patient and recommend they seek medical care. Why are patient-requested tests only limited to these tests? The State of Oregon has derived and approved these tests as acceptable for patients to request. More advanced testing or those requiring physician interpretation or follow-up are not appropriate for this program.